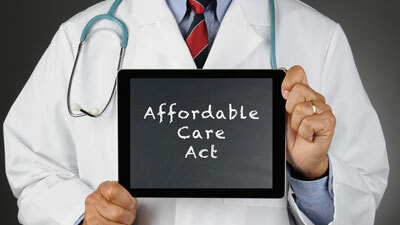 It has been five years since the Patient Protection and Affordable Care Act (the ACA) was signed into law. Healthcare reform has certainly been controversial, but this controversy does not absolve some businesses of certain responsibilities when it comes to offering minimum essential healthcare coverage to their employees. 1. The shared responsibility provision of healthcare reform is effective either this year or next year, depending on how many employees you have. Also known as the employer mandate or “play or pay,” this provision requires companies with at least 50 full-time equivalent employees to offer minimum essential healthcare coverage to their full-time employees and their dependents. Or, such businesses—which are referred to by the law as applicable large employers (ALEs)—can pay a substantial non-deductible penalty if they prefer. 2. Depending on the size of your business, you might not be subject to the shared responsibility provision at all. There’s good news in the ACA for many small businesses. Companies with fewer than 50 full-time employees or equivalents are not subject to the shared responsibility this year or next year. However, if these businesses want to offer healthcare coverage to their employees, they can buy coverage on the Small Business Health Options Marketplace, or SHOP. This marketplace could lower small firms’ health insurance costs by giving them more buying power. 3. The healthcare coverage your business provides employees under the ACA must meet certain criteria. Specifically, this coverage must be affordable and it must provide minimum value. Healthcare reform considers coverage to be “affordable” if employees’ share of their premiums doesn’t exceed 9.56 percent of their annual household income in 2015. And it considers “minimum value” to be a policy that covers at least 60 percent of the cost of healthcare services. 4. Your business might qualify for a tax credit for contributions you make toward employees’ premiums. Small businesses with up to 25 full-time equivalent employees could receive a tax credit of up to 50 percent toward their contributions to employees’ healthcare premiums. To qualify, your business must pay at least half of the premiums and employees’ average annual wages in 2015 cannot be more than $51,600 (adjusted each year for inflation going forward). Also, this tax credit will be reduced if you had more than 10 full-time equivalent employees last year and/or employees’ average annual wages last year were more than $25,400 (also adjusted each year for inflation going forward). 5. The ACA includes requirements to report coverage information to the IRS. ALEs are required to certify that they offered full-time employees and their dependents the opportunity to enroll in minimum essential healthcare coverage by filing Form 1094-C with the IRS. In addition, they must also issue a Form 1095-C employee statement to each full-time employee. These information-reporting requirements were voluntary this year for coverage provided in 2014, but they will be required next year for coverage provided in 2015. Be sure to connect with me on TaxConnections with any questions about your company’s specific responsibilities under the ACA this year. Author: Barry Fowler is licensed to represent taxpayers before the Internal Revenue Service (IRS) and is a longstanding member of several tax industry professional organizations including the National Association of Enrolled Agents (NAEA), National Association of Tax Preparers (NATP), Texas Society of Enrolled Agents (TSEA), and the American Society of Tax Problem Solvers (ASTPS). With experience in the tax and finance industry spanning over twenty years, Fowler’s expertise includes tax resolution, personal financial planning, tax return preparation, financial statements, and general ledger bookkeeping. He has been instrumental in helping hundreds of people resolve complex tax issues with the IRS.